How to import my equipment in bulk? Machinery Marketplace allows you to import your equipment in bulk using the Import feature from a CSV file. 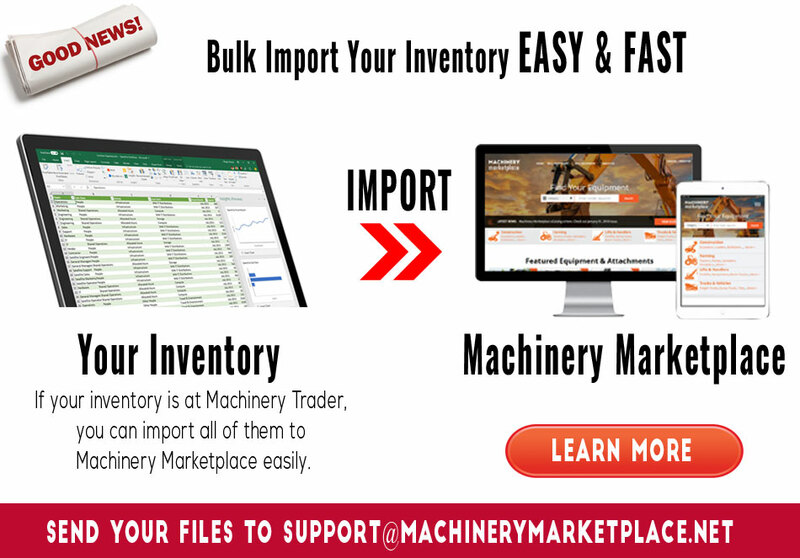 If you currently have your equipment listed at Machinery Trader or any other places, you can export your inventory to CSV format. Just sit back and relax, we will do the import process for you.